IFARLE Ingenieros Civiles Consultores Ltda. started activities during June 1956 in the field of Sanitary Engineering. The founding partners were the engineers Isaac Faiguenbaum Arcaví (deceased) and Rubén León Echaiz (deceased). 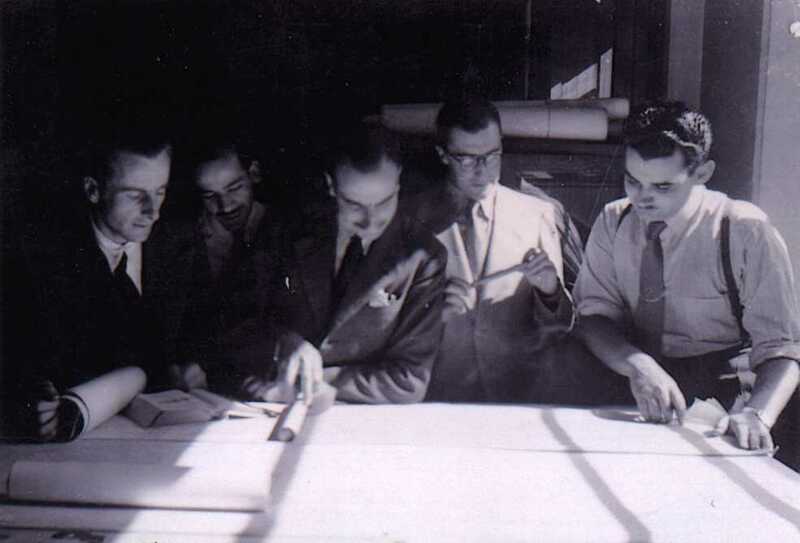 In 1961, the engineer Guillermo Torres de Castro (deceased) joined as partner, and later (1975), additional partners joined the firm, including the engineers Oscar Silva Letelier, Alberto Faiguenbaum Chame and Gerardo Ahumada Theoduloz. Until 1980 IFARLE operated as an Engineering Association under the name Faiguenbaum y León Ingenieros Asoc. That year, 1980, it became a limited liability company under the name of IFARLE LTDA. (IFARLE, Ingenieros Civiles Consultores Ltda. ), registered trade mark. Currently, IFARLE specializes in the field of Sanitary, Hydraulic & Environmental Engineering through integral management of projects, or through partial services (as clients require) in the stages of feasibility and economic evaluation, conceptual design, detailed design, design-build(turnkey) projects, bidding, inspection and supervision of works, and start up & operation of facilities. Environmental issues are considered during the first stages of each project. IFARLE established several important milestones for the Chilean Sanitary Engineering sector such as: started in Chile the optimum treatment for arsenic reduction in water; designed the first water treatment plant built with variable rate and selfwashed filters; at the end of the 70’s developed the first Flow Macro-measurement Plan for EMOS S.A.; in joint-venture with Tahal Consulting Engineers (Israel) did the design, supervision, commissioning and process investigation for the first wastewater treatment plant for Santiago; in joint-venture with the firm Jason Consultants (UK) did the first design for installation of large diameter pipelines with Pipe Jacking; in joint-venture with the firm Lahmeyer International (Germany) designed the first SCADA System for the production & distribution of drinking water for Greater Santiago. In 1998 IFARLE started to expand consulting business to Latin America with a flow macro-measurement project for SAMAPA (Bolivia). In June 2004 IFARLE certified its Quality System under ISO 9001:2000 standard.